Juicy Slow Cooker Brown Sugar Pineapple Ham. 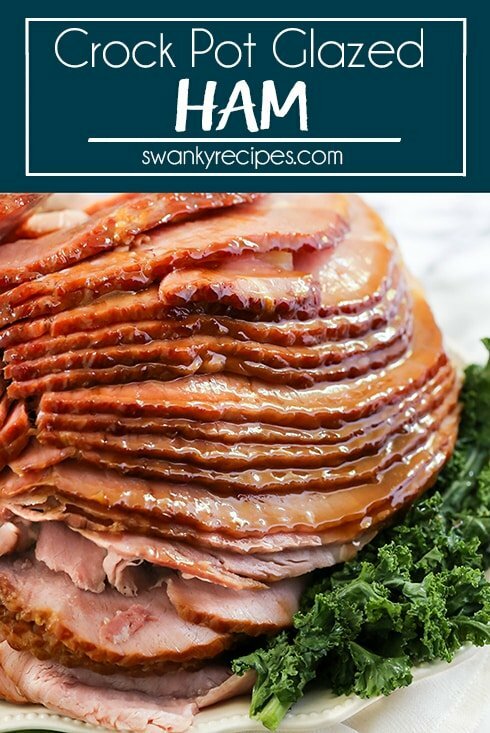 This spiral cut ham is a holiday classic and it’s so easy to make with just 4-ingredients. Directions come with options for LOW or HIGH slow cooker heat settings – let your slow cooker do all the work in a matter of hours. Holiday hams are my favorite! 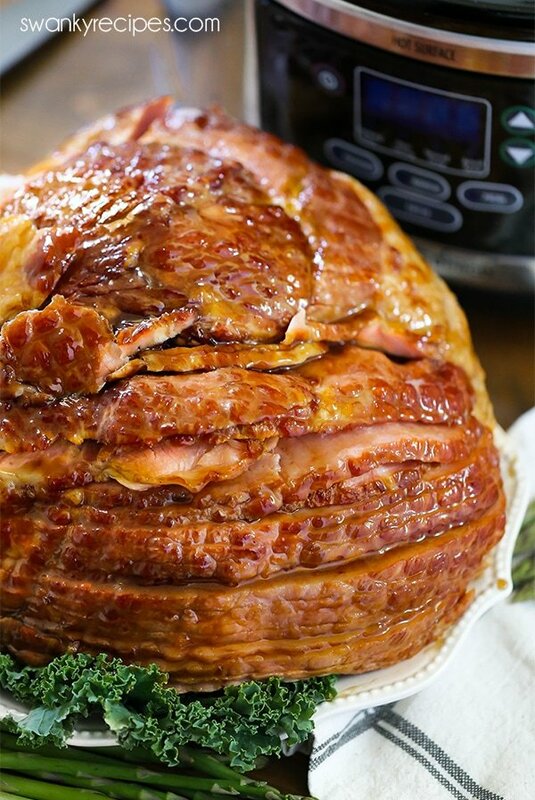 I love to cook the ham in a slow cooker where it warms in a sweet glaze. 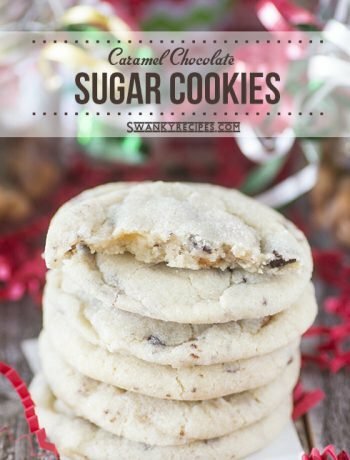 This actually frees up a ton of space in an already crowded kitchen, especially during the holiday season. Plus the ham smells of warm nutmeg, brown sugar, and pineapple and it’s pretty amazing. It’s pretty common to find a fully cooked ham in grocery stores. What that means is that the consumer doesn’t have to cook the ham because it’s already cooked. Ham is the end product that you’re buying and it’s precooked by brining, baking, boiling, curing, or smoking it. 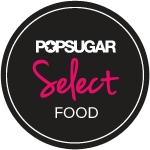 While at the grocery store, check the label for identification on whether it’s fully cooked, partially cooked, or not cooked at all. If it’s not fully cooked (rare) then you’ll want to be sure that the ham comes to an internal temperature of 145 degrees F with a food-safe thermometer. These are often labeled as a fresh ham, which is a raw piece of pork joint that is not cured or smoked. However, a majority of grocery store hams just need to be HEATED and even that is optional. 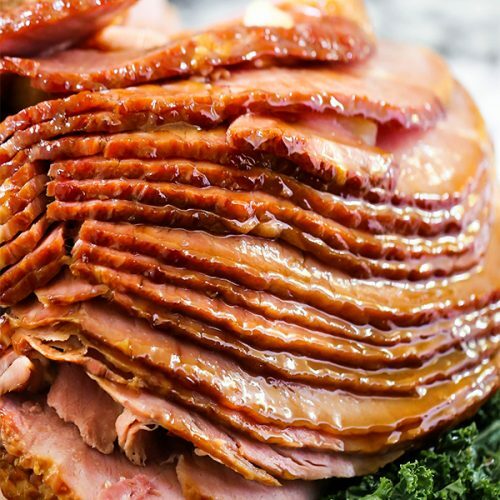 A fully cooked store bought ham may be eaten cold out of the package but most people prefer it warm and glazed in a sauce, especially for a holiday like Christmas or Easter. Ham has always been a Sunday after church meal in our family. My Nana always made a retro ham in the slow cooker with 7UP, brown sugar, pineapple, cloves, cherries, and orange juice. I have fond memories of her ham and my mom still makes it this way, too. Slow cooking a ham is my perferred method to warm up the slices. I can add in the spiral ham, and a can of pineapple chucks along with brown sugar and just let it heat up without out my having to watch it. It’s recommended that a person will eat 1/4 to 1/3 a pound boneless ham. With a bone-in ham, each person will eat about 1/3 to 1/2 pound bone-in ham. A 10-pound bone-in ham will feed about 20 people. For more on ham servings, read this post here. If you spend a little more money, you can buy a spiral ham sliced. 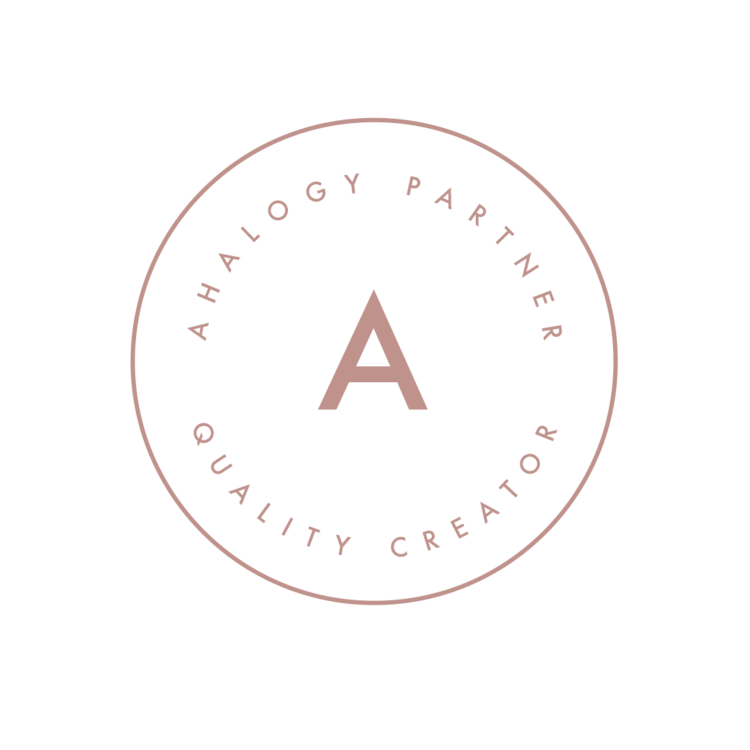 What this means is that it’s precut in the factory and you won’t have to do it at home. I’ve had a lot of luck and I am willing to pay more ( I paid about $35 for this 10.5 pound spiral ham ) vs a 9 pound bone-in non cut ham for $15. The skin to the 9 pund ham popped off so the spiral ham was a perfect choice for me. 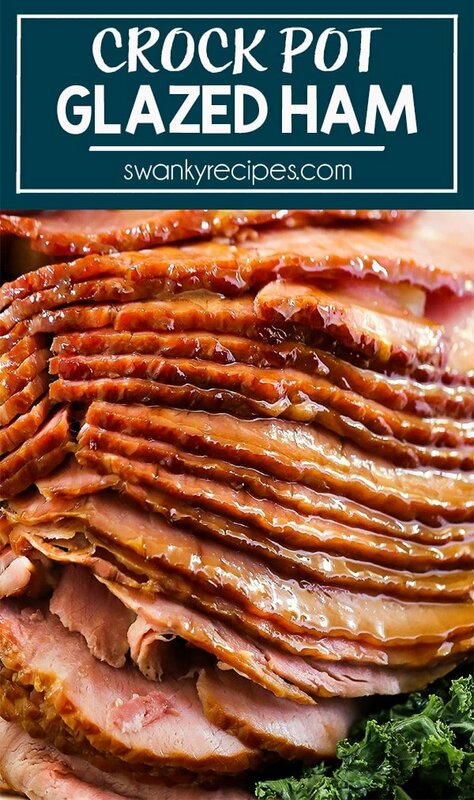 Sliced ham is a classic main dish to serve for Easter and Christmas. Of course, I like to slow cook ham a few times throughout the year. 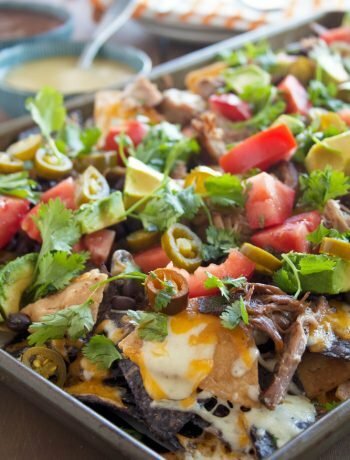 It makes a lot of leftovers that can either be served with sides or made into another dish. In our house, we eat ham the first day or two then I add it rolls. Leftover ham I like to add to breakfast eggs and make soup or casseroles. In New Orleans, we cook a ham on Sundays and use the leftovers in Red Beans and Rice. I use the ham bone to make broth and store the liquid in the freezer to use later in cooking. Of course, these Ham Pinwheels are an easy way to serve up leftover ham, too. Side dishes are a great way to get the most out of ham. By pairing it with classic ham side dishes, you’ll stretch the servings out even more. Traditionally, I serve ham with Cheesy Potato Casserole, Green Bean Bundles, Italian Pasta Salad, and Savory Ham Cornbread. During the holiday season, it’s delicious with homemade Cranberry Sauce or this vintage Cranberry Fluff Salad. 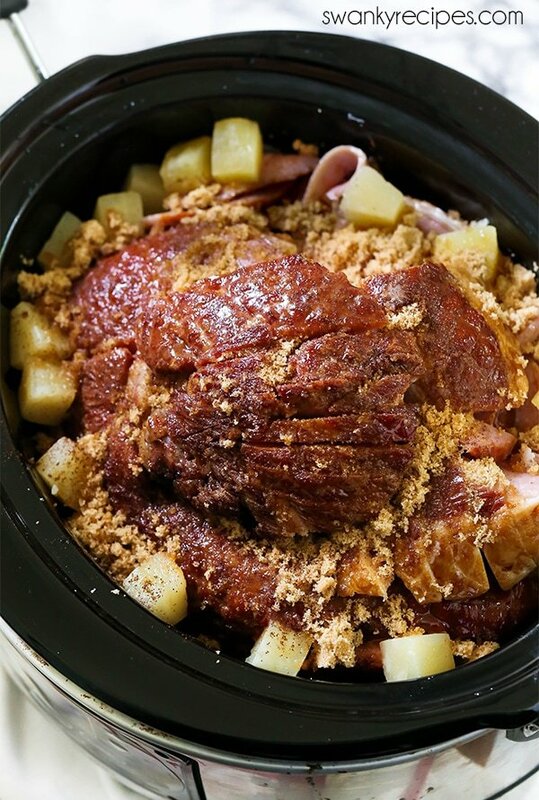 Juicy Slow Cooker Brown Sugar Pineapple Ham. 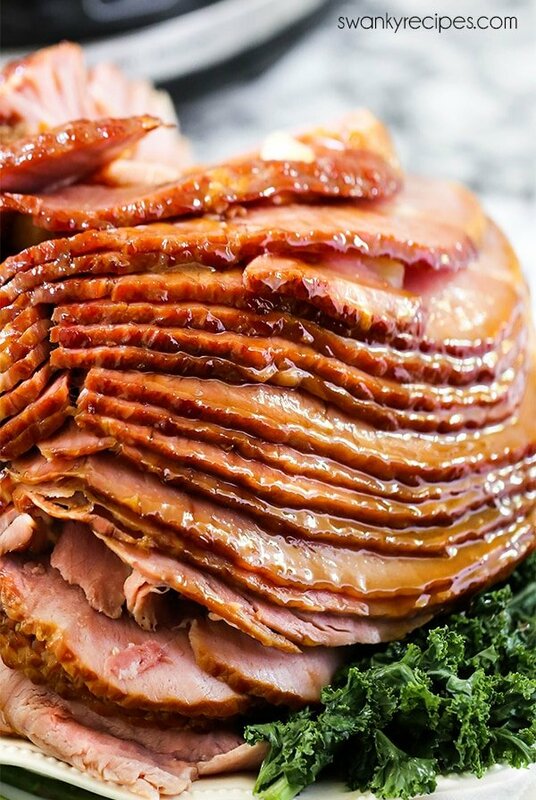 This spiral cut ham is a holiday classic and it’s so easy to make with just 4-ingredients. Serve for Easter, Christmas, or dinner. ***Quick notes before shopping – I usually buy a spiral cut ham. A spiral cut ham is already precut and it leaves the hard part of cutting out. If your ham is not precut, simply use a sharp knife to make thin cut slices on ham before getting started. Also, be sure to buy a fully cooked ham (package should say), as most are traditionally sold this way. Place unwrapped ham cut side down in slow cooker. The cut flat side will be submerged in liquid. 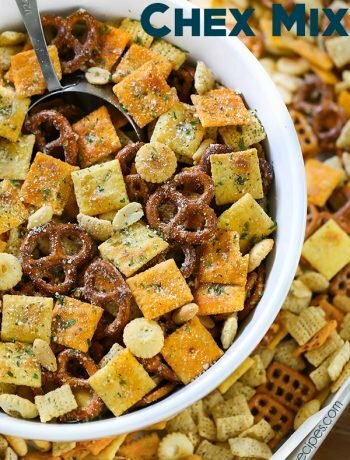 Pour in 20 ounces canned pineapple chunks. Sprinkle top with 1 cup packed light brown sugar. Sprinkle in 1/4 teaspoon ground cloves or 1/4 teaspoon whole cloves. Secure slow cooker cover on top. If the lid won’t fit, simply cover the top with foil. After an hour or two, the top may be able to fit as it heats up. Turn on slow cooker. Either set on low for 5-5 1/2 hours OR high for 2-3 hours. Since ham comes cooked, we’re just warming it up. Remove ham to cutting board. Cut up and serve or glaze it first. To make this glaze ( optional ) melt 3 tablespoons butter. Stir in brown sugar and honey then use a pastry brush to glaze. ham. 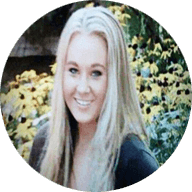 For ham servings and suggestions for a party, read here.